The pedestal of the Silent Sam statue without the Confederate monument on Tuesday, August 21, 2018. 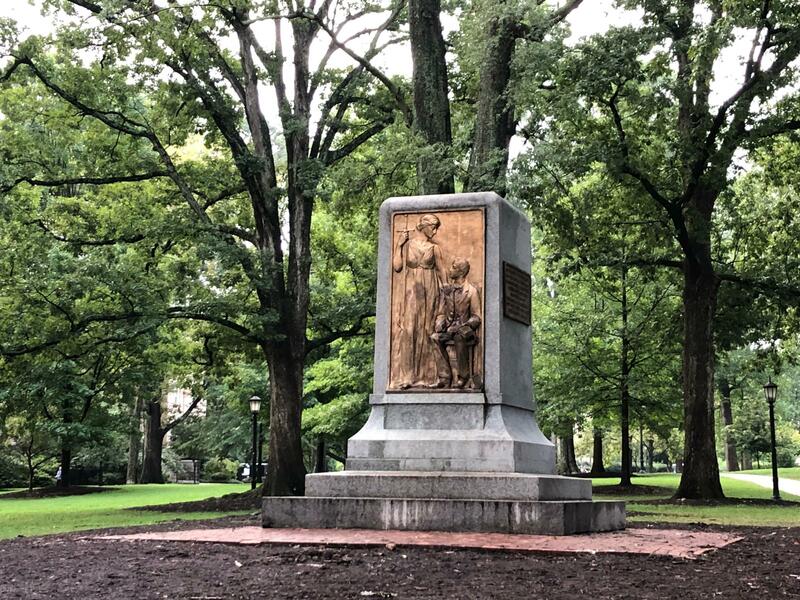 Lisa Philip reports on a recommendation by the UNC-Chapel Hill Board of Trustees to build a new on-campus history center to house the Confederate monument known as Silent Sam. Officials with the UNC-Chapel Hill Board of Trustees have approved a plan to recommend a new on-campus history center to house Silent Sam, the Confederate monument that was toppled by protesters earlier this year. North Carolina's flagship university proposed Monday to move a toppled Confederate statue into a new $5 million building on the outskirts of campus, seeking to balance security with strict state historical laws in a move that prompted a crowd of chanting demonstrators to throng the streets later in the evening. A current member of the UNC-Chapel Hill Board of Trustees is bringing a unique perspective to his deliberations on Silent Sam, the Confederate monument torn down by protesters in August. William Keyes once worked as a paid political operative for the government of South Africa during apartheid.